Step 1 Place the strawberries in a saucepan and add 2 tablespoons of water. Step 2 Gently bring to the boil and simmer for 5 minutes. You may mash the berries with a fork if you want a smoother jam. Step 3 Stir in the erythritol and remove from the heat. Step 4 Add the chia seeds, stir thoroughly and let sit for at least 10 minutes. Step 5 Transfer the chia jam to an airtight container and store in the fridge for up to 2 weeks. 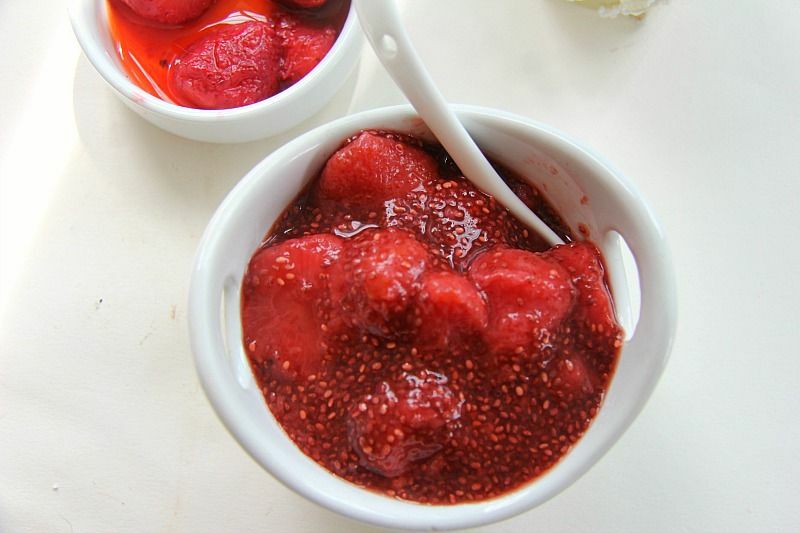 An easy strawberry chia jam that is quick to make and a healthier option. The chia seeds thicken to give almost a “jam” texture and the berry fruit being naturally sweet.